Hi! 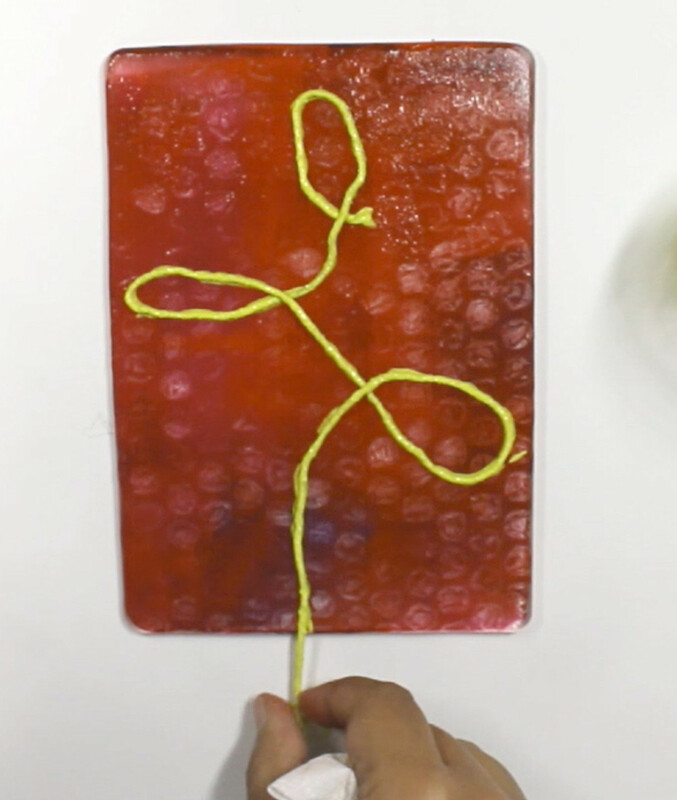 Tania here and today I am going to show you a technique that uses string pulling to give you some cool results in your prints! 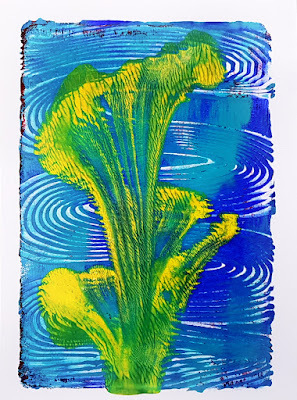 In a container, mix acrylic paint and water. 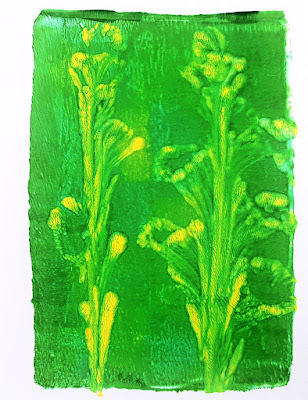 I am using Gelli Arts® Sunbeam paint as I love how it pops against the background colors I will be using. Cut a piece of string. 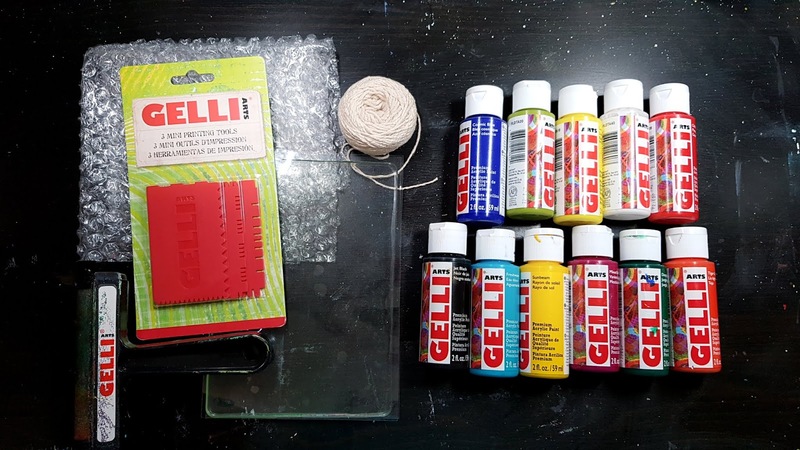 The size of the string will depend on the size of your Gelli Arts® gel printing plate and the design you would like to create. 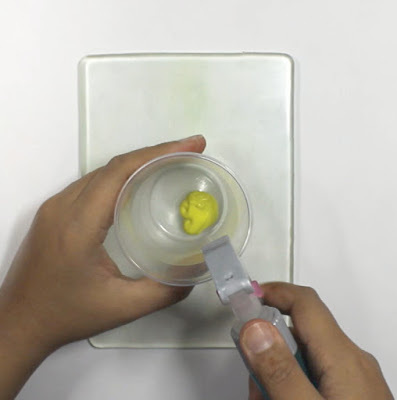 Dip the string in the container and push it down in the paint. You might need to add more water. Adjust according to the absorbency of your string. Put the container aside. 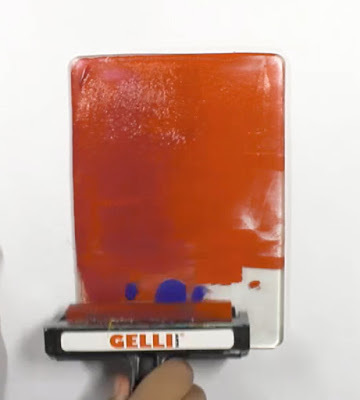 Add acrylic paint to your gel plate as normal with a brayer. This will be your background. 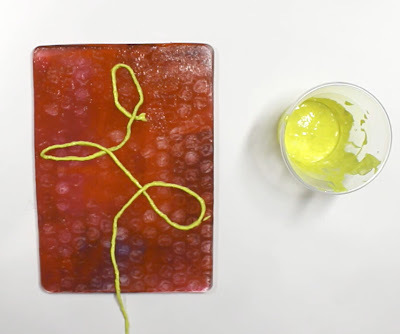 Add texture to the plate with mini tools or bubble wrap. 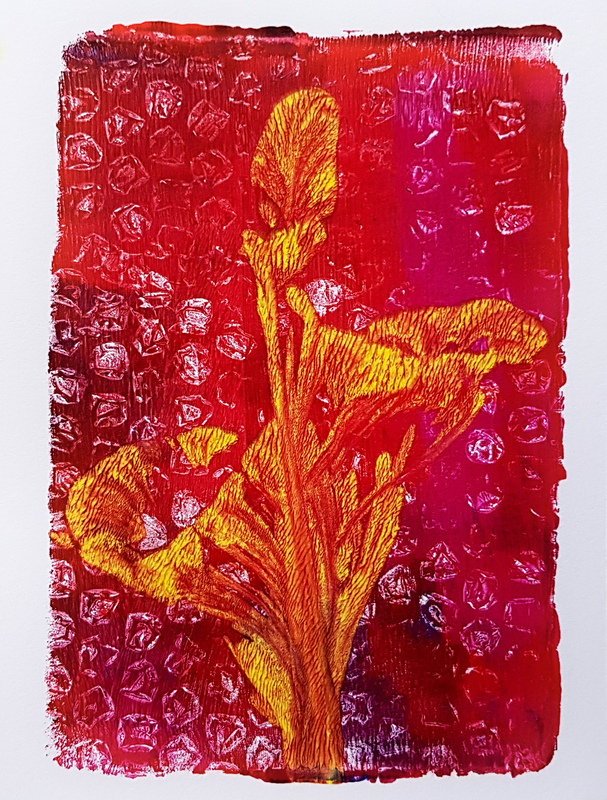 You can choose to not add texture, but I think it adds additional interest to the print. 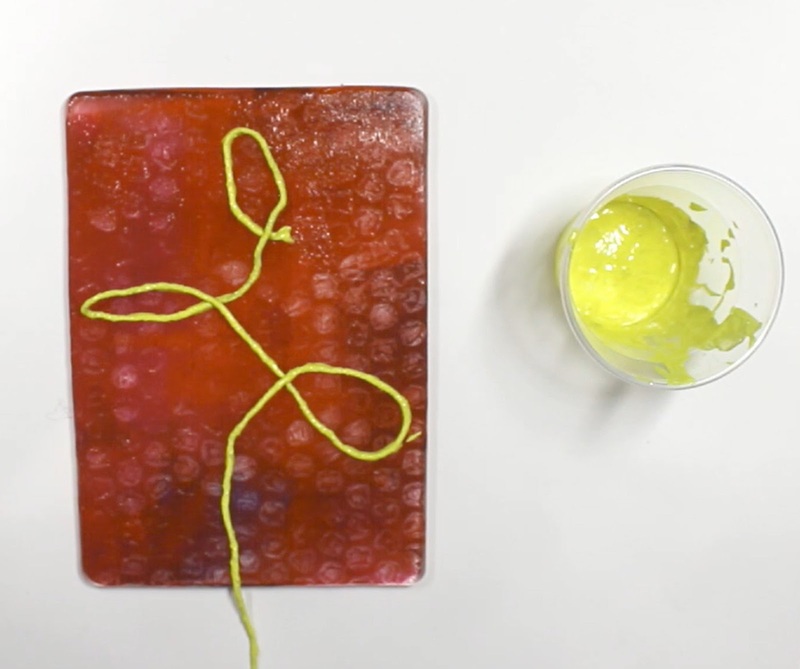 Lay the string on the wet paint making swirls and loops to create your design. 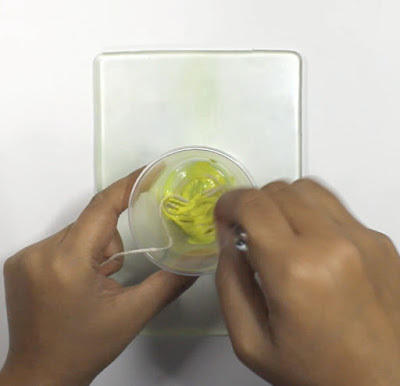 Leave a piece of string hanging over the edge of the plate to help pull it off easily. Optional: You can press the string down gently into the plate where needed if it hasn't made complete contact. Tip: Try with simpler designs in the beginning. Slowly start pulling the string in a downward direction. The string should continue to stay in contact with the plate. 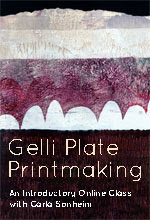 The paint from the string will be left behind on the plate. 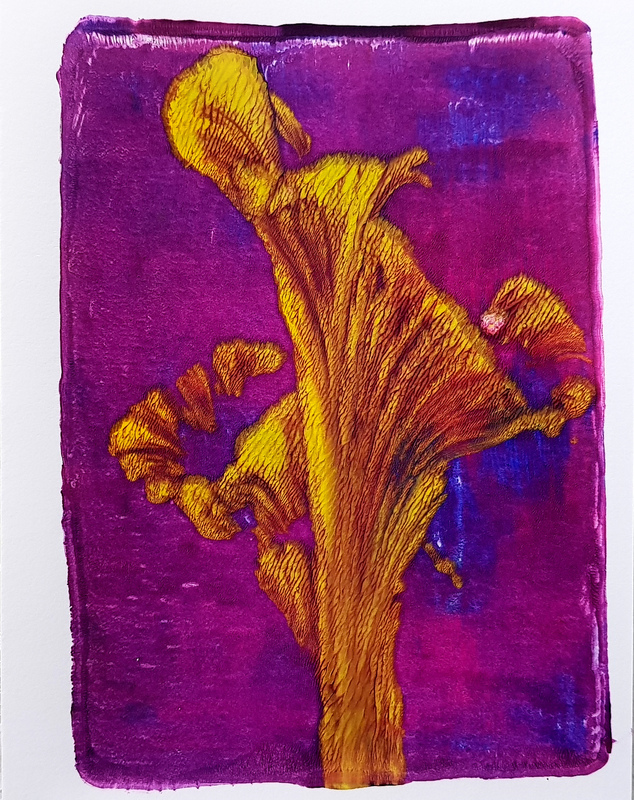 Pull the print. 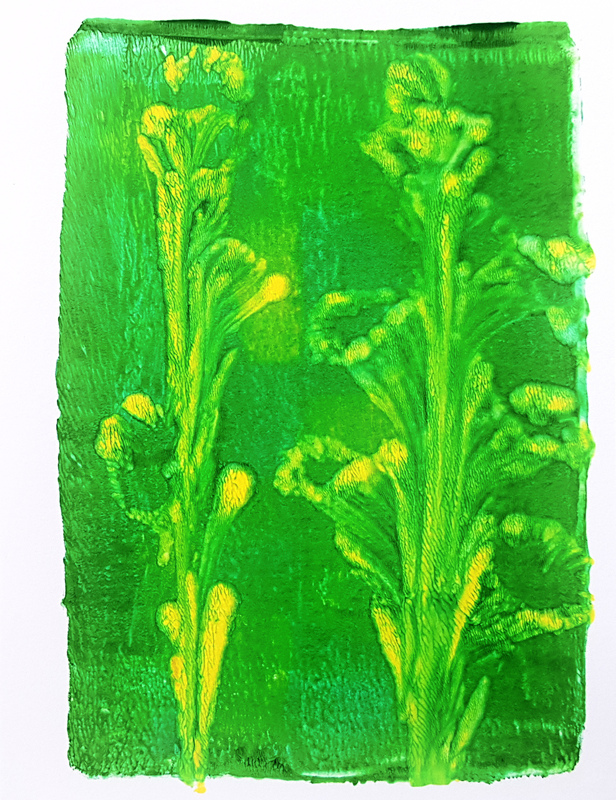 I am using a brayer to get even pressure across the back of the paper. 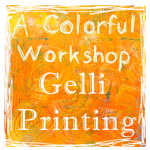 Try this process over and over again with different color combinations! Thanks for stopping by! 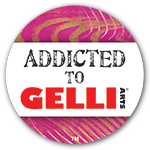 Share your results with us by tagging @gelliarts on Instagram! OMG! So Cool! Can't wait to try it. 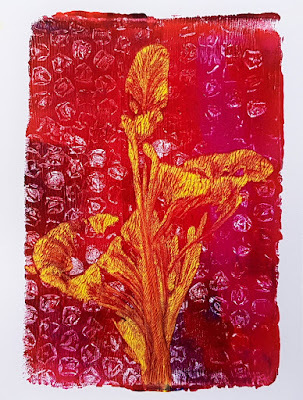 Your prints look like flowers. So pretty! WOW - this is SOOO great. Fantastic technique . . . 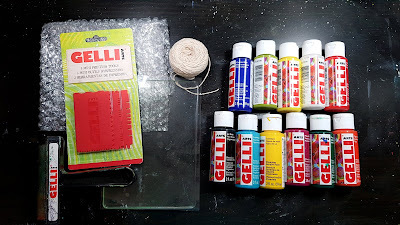 I'm off to craft! Thank you for sharing!